If you read any of the blog posts here, it is easy to see that cryptocurrencies like Bitcoin or Dash are fascinating subjects that are becoming more and more popular. Understanding these new digital currencies, how we can use them in our daily lives, and how they will affect global commerce are extremely important timely topics. If you have managed to avoid using cryptocurrency thus far, or are a late adopter in general, not to worry. 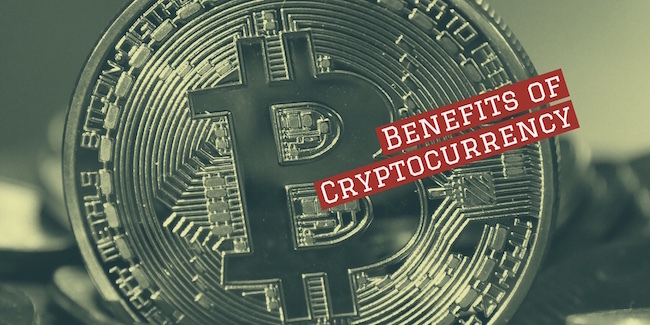 Here are several of the benefits of using cryptocurrency, and how doing so can change your outlook on money altogether. Unlike traditional payments, like cash and credit cards, cryptocurrencies are digital and encrypted; you cannot be ripped off in a transaction like you can be with legacy payment systems, and it is much harder to steal cryptocurrency compared to a wallet full cash. In a world where so many of our transactions are online, and our savings and credit rating are at stake at all times, anything that provides increased transactional security is a plus. And there is currently no transaction mechanism that is currently more safe and secure than those that use cryptocurrency. Another great benefit of using cryptocurrency, especially when purchasing real property, is that digital currency can help eliminate expensive brokers, lawyers, and other typical “middlemen” who inevitably raise the costs of already expensive transactions. Cryptocurrency can essentially act like “a large property rights database”, according to one financial expert, and can be used to execute and enforce two-party contracts on items like real estate and automobiles, thus eliminating expensive brokerage and legal fees. As more people, including billions of people in the developing world, increasingly use mobile devices linked to the Internet to conduct financial transactions, cryptocurrency is truly going to come into its own. All cryptocurrency is designed for low cost, no-fee transactions, so undoubtedly these digital currencies will become increasingly popular as more people have access to mobile devices to conduct financial transactions. In the late 1990s and early 2000s, mobile phone technology spread rapidly through the developing world, and saturated markets where standard landline telephones had never been established; cryptocurrency is poised to do the same exact thing. If you do business globally, or travel frequently, you are often exposed to exchange rate risk; that is, the transaction can be affected by currency exchange rates. You may also be subject to fees associated with exchanging one currency for another, or find challenges in exchanging currency altogether. Fortunately, with cryptocurrencies like Bitcoin, that is a non-issue, as the digital currency is universally recognized at a given value. This helps to save time in determining a price for a transaction, as well as any fees associated with exchanging money from one form to another. As cryptocurrency is increasingly adopted around the world, it is going to make financial transactions faster and simpler, which is a great thing for everyone involved. One of the best things about cryptocurrency is that, unlike virtually any other type of money retaining system (save for a wall safe or your wallet) you totally own it. Think about it: most traditional liquid asset systems – banks, credit unions, brokerage houses, or even high tech ones like PayPal – take control of your funds and leave you subject to their terms of service. If they decide that you have violated those terms, they can suspend your account. They can change their terms of service, and cause you to have to pay more or receive fewer funds for important transactions. With cryptocurrency, you retain all of the funds on hand, so to speak, digitally, with no third party involvement; the only one who can change the terms of your cryptocurrency use is YOU.